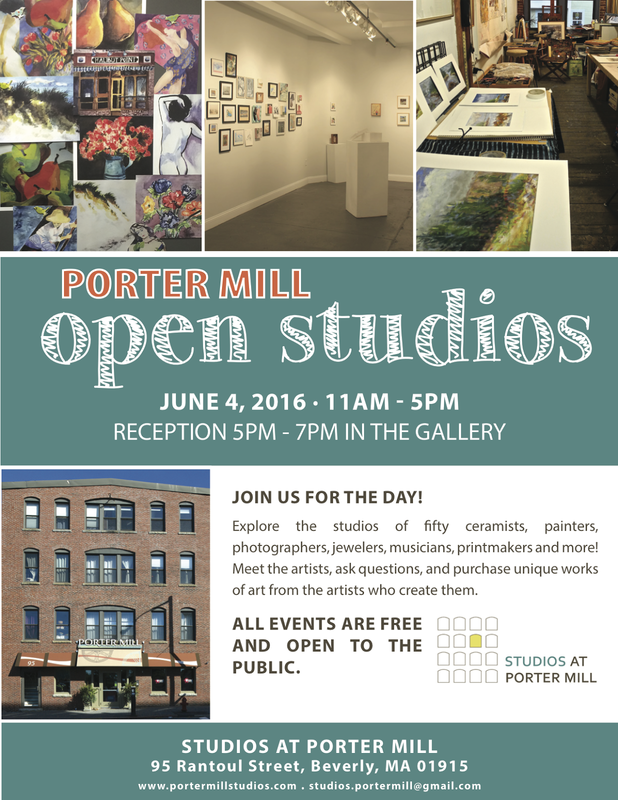 PORTER MILL | STUDIOS: OPEN STUDIOS is coming... TOMORROW! OPEN STUDIOS is coming... TOMORROW! Everyone's been working hard here at the Porter Mill, getting ready for our Open Studios, and tomorrow, we'll be open from 11-5 PM! Artists will have their studios open while they work, so you can come by, walk through our four floors of artist studios, purchase unique works of art, explore our building, and see our brand new gallery show, "The Art of Porter Mill"! We will also be having a reception for the new exhibition from 5-7 PM, with refreshments, good company, and lovely art directly from our Porter Mill artists! Come on down and say hi, fall in love with a new piece of art and talk to artists about their work! We can't wait to see you there!